Back of the Cereal Box: Stanley Hudson’s Punch-Out!! 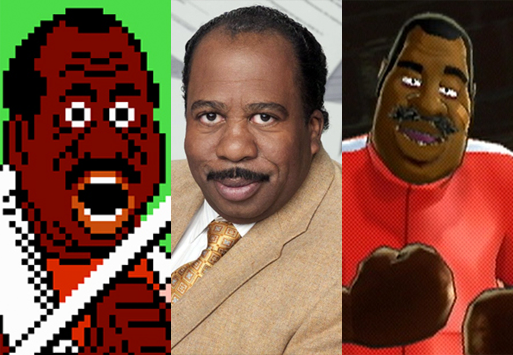 Never realized how much Stanley from The Office looks like Doc Louis, the trainer from Mike Tyson’s Punch-Outt!! The resemblance carries over even to Doc Louis’s makeover for the Wii version of the game.